We study the problem of finding a negative length cycle in a network. 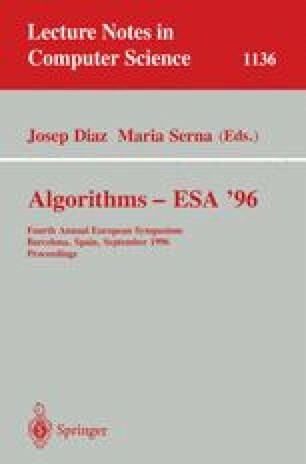 An algorithm for the negative cycle problem combines a shortest path algorithm and a cycle detection strategy. We study various combinations of shortest path algorithms and cycle detection strategies and find the best combinations. One of our discoveries is that a cycle detection strategy of Tarjan greatly improves practical performance of a classical shortest path algorithm, making it competitive with the fastest known algorithms on a wide range of problems. As a part of our study, we develop problem families for testing negative cycle algorithms. This work was done while the first author was visiting NEC Research Institute, Inc.